According to a Forrester Research report, US companies alone will spend over $77 billion (by 2017) on marketing, with a focus on search engine and social media marketing. The increased spending will create a huge demand for people skilled in internet marketing – but the term “internet marketing” is itself a topic for debate. Here, you will learn more about internet marketing, and you will also learn how instructional videos from Internet Marketers Education can help you gain the knowledge you need to make money online. Internet marketing is a form of advertising that involves the promotion of services and products to improve a brand or gain a greater market share. The most important skill any marketer can have is to know how to leverage the power of the internet to promote their products, through public relations and search engine marketing. Search engine marketing is divided into two components: search engine optimization and PPC. In SEO, a website’s visibility in search engine results is manipulated through ethical methods. In PPC (pay per click”, marketers like you pay to get a site included in the SERPs. Public relations involves the usage of online channels to influence the target audience’s opinion. At IME, we will show you how to use forums, blogs, news search, discussion threads, social media and other tools to boost and manage your brand’s reputation. There are so many options that you’re sure to find what you’re looking for. With a membership at IME, there’s no need to sift through a list of videos on general internet marketing, if you’re only looking for a video on how to increase your Facebook traffic. If you can think of it, internetmarketerseducation.com probably has a video course that covers it! You’ll enjoy great flexibility. One-on-one training is great, but that’s your only chance to take it all in. However, internet marketing training videos from IME are available on demand – meaning that you can learn at your own pace, and re-watch the presentations as many times as you wish. 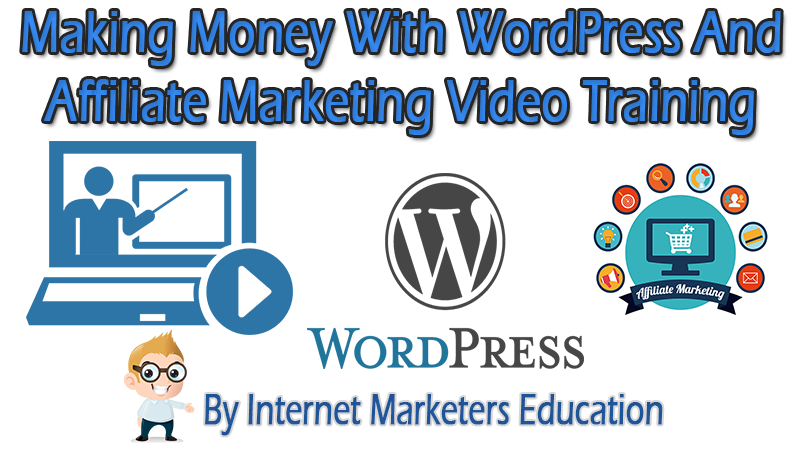 For a join fee of $19.97, you’ll get instant access to over 260 training videos on everything from WordPress to website flipping. You’ll learn from some of the top experts in internet marketing. Online training videos allow you to learn from software engineers, programmers and others who have knowledge gained while working at Facebook, Google and other well-known tech companies. Our internet marketing courses take a hands-on approach, and you will gain a detailed understanding of IM – and you’ll come away with the skills and tools you need to get the job done. 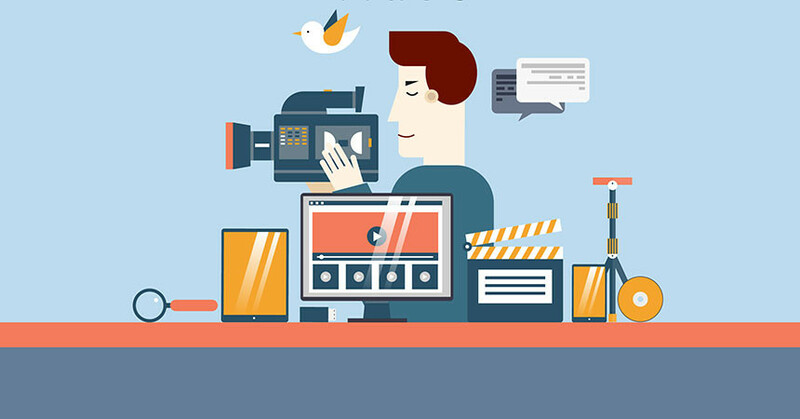 Our video courses will address the use of online media to promote and advertise your products, and they will also help you do market research and develop strong customer relationships. You don’t have to spend hundreds on other IM courses – not when Internet Marketers Education offers a vast library of training videos, all for the low price of $19.97 per month, or $199.70 per year. Sign up today – what are you waiting for? Would you love to create a new income stream for yourself? Whether you need to earn a little extra cash, or whether you’d love to earn enough money to replace your current job, you’ll need to find a way to learn how to make it all possible. You’d be amazed to learn that there are all sorts of ways for you to make money online. In fact, thousands of people around the world are making money online all around you, and you haven’t even realized it. For example, when you read content on your favorite blog, then you’re helping the blogger to earn a bit of money by selling their expertise, selling products, or by selling services. Some bloggers simply sell advertising space to interested niche advertisers. Think about the expertise you have in a certain niche or industry. Now, think of how many people would love to have to have access to this information. But, here’s something else to consider: You’ll need to learn how to lead people to your blog in order to give them the information they’re looking for. The best part of investing your time (and an affordable amount of money) into internet marketing is that you’ll be able to train on your own time schedule. You can still keep your job while your train in your spare time. You won’t have to find a babysitter-you can even train while the little ones are sleeping. Perhaps you’re the type of person who loves telling stories-this is what motivates you to write. You’re a great candidate for internet marketing, because as a marketer, you’ll need to become very good at telling stories about products and services. Your stories will inform the reader while allowing them to develop trust in what you’re offering. Then, as your prospects begin to trust you, then they’ll buy what you’re marketing. Blogging: You can either write your own blog posts, or you can sell your blog writing services to other internet marketers. You’ll earn money upfront by writing for other bloggers, but you’ll earn residual income by writing and promoting your own blog. Affiliate Marketing: This involves promoting a link that leads to a sales page on behalf of a product manufacturer. There’s tons of products that are sold everyday in this way. Amazon features a very robust affiliate marketing program, for example. Are you tired of commuting to a job that not only fails to provide you enough money to have left over, but it also fails to provide you with a serious financial future that you can depend upon? Are you ready to literally write your own financial ticket? First, let’s take a quick look at what internet marketing is, and how it will allow you to quit that dead-end job that you hate. Internet marketing in general is a system that allows you to use a wide variety of platforms to market all sorts of products and services. You can promote and market your own products (and services), or you can market the products and services that someone else produces (and pays you a marketing fee for). You’re going to gain access to all of the information that you’ll need (and more) when you sign up for our subscription-based video training services. Remember when we discussed using blogs in order to market your products and services (or the product and services of others)? You can use many of the free blog platforms, but the time is going to come very quickly when you’ll need to graduate to the ownership of your own blog property. This is true, for a couple of reasons. First, when you use the free blog platforms, you’ll often have to put up with their rules – and these are often rules that work against your credibility and your ability to make money. For example, you might not be allowed to market certain types of products and services. Or, you might have to put up with annoying ads showing up on your blog, even if the ad has nothing to do with the product or the service that you’re advertising. And, as you’ll learn, when you start to generate traffic to your site, then the last thing you’ll want is for traffic visitors to become distracted by the ads and leave your site. Second, when you publish your work on a free blog platform, the publisher can take down your work at any time since you don’t own the blog – they do. You can quickly see why owning your own blog is key, and the good news is, we’ll teach you how to do all of that when you subscribe and sign up for our WordPress tutorial videos for beginners. You will after you sign up for our subscription-based training plan. In short, affiliate marketing allows you to market the products and the services that other people are producing. When a prospect buys the particular product or service that you’re marketing, then you get a cut of the profit! Wouldn’t you love to learn how to market all sorts of products that you love? It’s very easy to do, but you’ll require the proper training to learn how to do it effectively. We’ve got you covered! Right now, there’s are thousands of internet marketers around the world who are quietly building online empires by selling the products and services of producers around the world? Our internet marketing video training introduces you to ways to make money online, such as affiliate marketing. Let’s take a look at three of the most popular affiliate marketing platforms. Everyone knows that you can surf on over to Amazon’s website and purchase just about every product you can think of, along with a bunch of products you’ve never heard of (or you didn’t know that you needed). But, did you know that everyday, savvy internet marketers are making money from the website’s affiliate marketing platform? The cool thing is, Amazon affiliate marketers don’t have to lift their fingers to produce their own products. They can simply choose to promote any number of products that are already being sold from small scale manufactures, to huge conglomerate manufacturers across the globe. You can do the same once you learn the basics of affiliate marketing, and specifically, how to make Amazon’s marketing program work for you! Have you ever seen ads online that promise to teach you how to date the girl, or get your guy back? Are you worried about the end of society as you know it, and you’d like to learn how to prepare your home and your family from a social disaster? Or, would you like to repair your marriage? Any personal or social problem that you might be facing might be resolved after your purchase a training program on Clickbank’s affiliate platform. And, if you feel inclined, then you can use your life experiences to create a course, then sell the training course on Clickbank. And, of course, you can simply build a website that allows you to market the products and services of other product manufacturers. There’s always an online customer who is looking for the product that you’d like to market! JvZoo is one of the new affiliate marketing platforms, but it’s proven to be the top affiliate marketing platform for service providers, and internet marketing instructors. 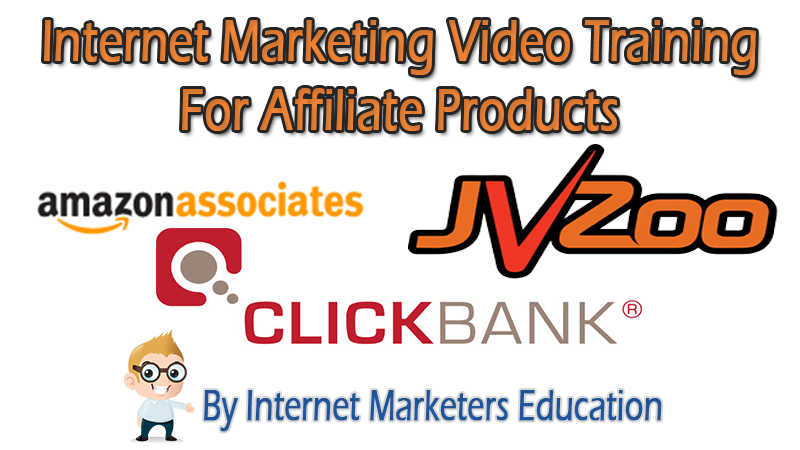 Heck, we even offer our internet marketing video courses through the JVZoo affiliate marketplace! You can take our training courses to learn how to sell our internet marketing training membership to others, and you can sell a wide variety of courses (or products) to those who are looking for great information at an affordable price. As you might have noticed, there are all sorts of affiliate marketing platforms, but they aren’t all built equally. 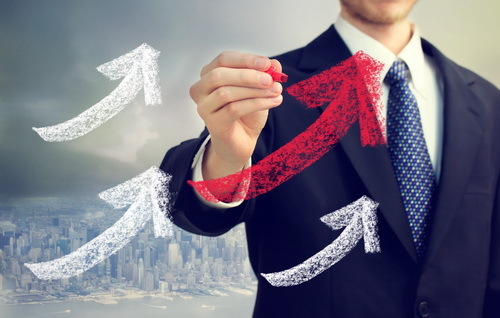 While they allow internet marketers to earn a passive income by marketing the platform’s products, each platform is unique, and each platform is best suited for certain types of products and services. How will you know which platform works the best for the type of products you want to market? This is part of the information you’ll learn once you sign up to gain access to our internet marketing training videos. Some newcomers to the world of affiliate marketing try to find a product first, then force themselves into it. While this approach can work, you’re actually better off looking inward, first. This is because you need to select a niche that you know something about and preferably, one that you have a lot of passion for. Ultimately, of course, you can do anything you put your mind to, however, if you opt for unfamiliar territory, you’ll be winging it. There’s enough to learn in affiliate marketing that you don’t want to be presented with too many additional obstacles. 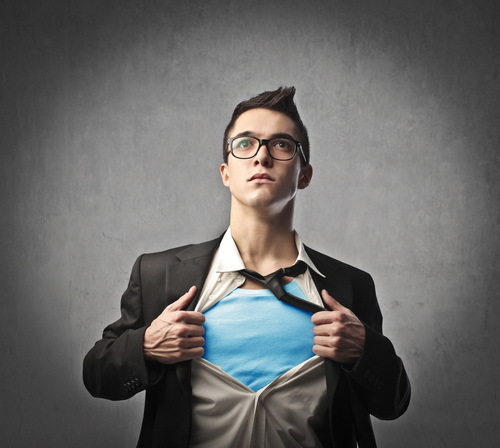 The knowledge and passion you already have will act as a launchpad for your long-term success. What industry do you have the most experience in? Which classes were your favorites in high school and college? What types of problems are you particularly good at solving? While there will not likely be any type of prerequisite presented to you by potential affiliates, it will help if you can promote yourself as an expert who has been in the field for a certain number of years or an enthusiast who has personally enjoyed participating in an activity every summer since you were five. Also, you’ll make a more genuine impression on your audience when you really know what you’re talking about as opposed to making it up as you go along. After you’ve nurtured your first affiliate website to a certain level of success, go ahead and try your hand at something you don’t know much about if you’re comfortable doing so. Once you’ve narrowed the possibilities down based on who you are and what you like, find an industry in which you can make money as an affiliate. 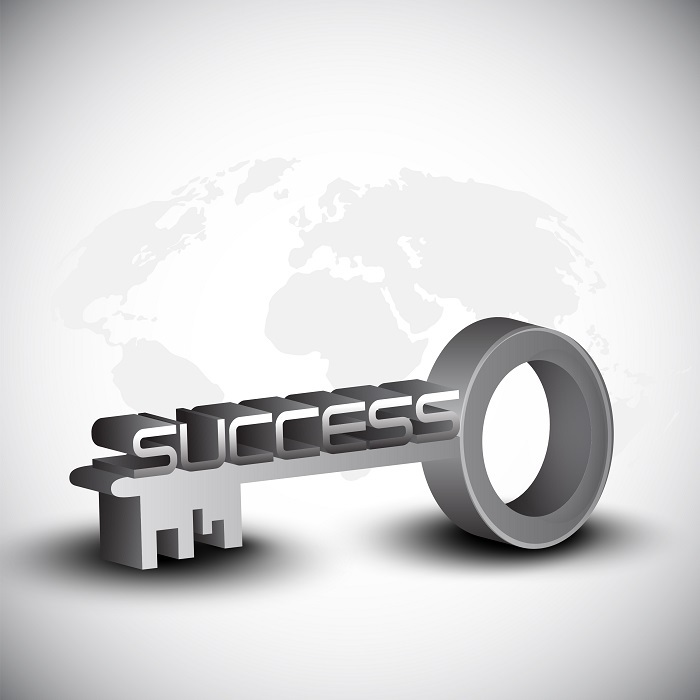 You could use keyword tools online to see what people are searching for on search engines and at big name retailers. Study trends and forecasts to determine what’s hot and what’s not and where you might belong in the thick of it. Start with the internet’s largest online retailer, by searching products by “best seller” or by looking at the number of reviews the different products have. Keep in mind that for every single review, approximately 500 total have been sold for that item. How can you help people age better? How can you help people feel more positive about themselves? Do you know how to get a really, really good night’s sleep? Have you figured out a reliable way to lose weight? Are you the world’s best match-maker? Can you advise people on how to make something awesome and unique from scratch? Although no industry is fool-proof in terms of a reliable income, in general, health, romance and hobbies do well for affiliate marketers, therefore, any way you can help people interested in these topics will work in your favor. For example, say your a fitness nut and love taking care of yourself from the inside out. Consider all the supplements available and how often people are confused about them. If you clearly demonstrate your authority and help your audience understand which supplements they should take and for what reasons, they’ll likely buy from you. Supplements are a seven billion dollar industry, with growth projected to climb an average of more than 12 percent over the next decade or so. Find a way to make people feel better, look better or connect with each other. Solve a problem for them, such as insomnia or obesity with a product or service you know will work and then, build a site where you can present a solution to your targeted audience. With tireless search engine optimization, constant contact with your customer base and a wise choice of affiliate partnerships, by this time next year, you could be calling yourself a successful internet marketer. The first step though starts now, by narrowing your choice of niches to something sensible, doable and most importantly, profitable! Jonathan Leger has been a successful Internet Marketer for over 11 years. He owns an SEO and Keyword Tool suite and is the creator of a number of well known and respected software and service applications such as The Best Spinner, Article Builder and more. 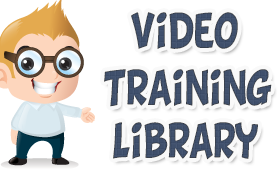 A Wide Variety of Internet Marketing Video Training Courses That You Can Watch Anytime To Start Building Your Online Business the RIGHT Way. Internet marketing has grown substantially, and websites & SEO are no longer enough to be successful. The list of IM technologies and ideas is large, and it’s growing by the day – SEO, social media, landing pages, QR codes and content marketing are just a few of the ways you can use the internet to build your business and your brand. It can be difficult to know which internet marketing training videos suit you best, but the truth is that while the technology has changed marketing has stayed the same. It’s still about building relationships, giving visitors something valuable, and thinking in an innovative way. If you want to improve your marketing skills with an IM training course, consider these factors to find the right courses. Choose courses that suit the size of your company. The type and scope of your marketing campaigns is largely determined by the size of your company and the size of your budget. Startup companies can’t afford marketing campaigns like those used by international corporations, and it’s important to remember that when you’re selecting an IM campaign. For instance, a multinational company may be able to spend thousands per day on Adwords, but for a home business, a Pinterest- or Facebook-based campaign may be more affordable. When you’re considering buying training courses and internet marketing tutorial videos, you’ll need to factor in the cost of any software you’ll need to create the campaign. IM on Youtube may be free, but buying a program to create videos may be pricey. You should also consider the time you’ll be investing; some marketing methods are more labor-intensive than others, and may require extra staff. The internet isn’t just a worldwide thing anymore – it has expanded local marketing for owners of small businesses. As local search marketing has become more popular, and GPS-enabled smartphones are prevalent, the Web has become a great way to reach local customers. Now is the perfect time for small businesses like yours to take an internet marketing video course on local search. 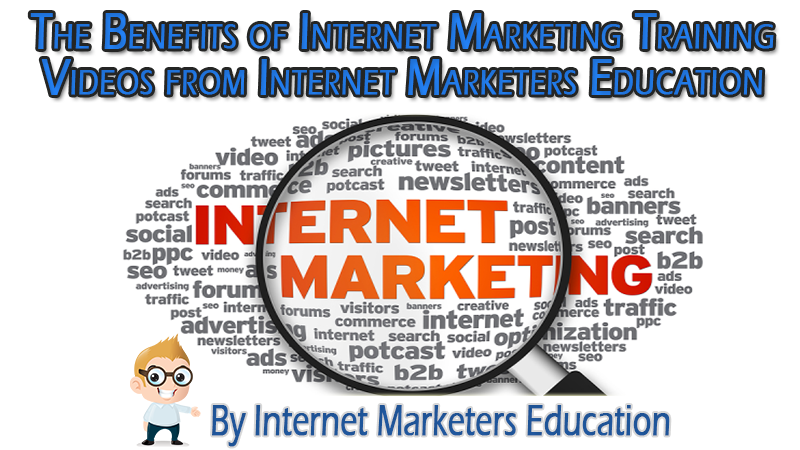 IME’s internet marketing courses for beginners can take you through the learning process in an easy-to-understand way. Although the global economy has rebounded somewhat, the job market is far from secure. 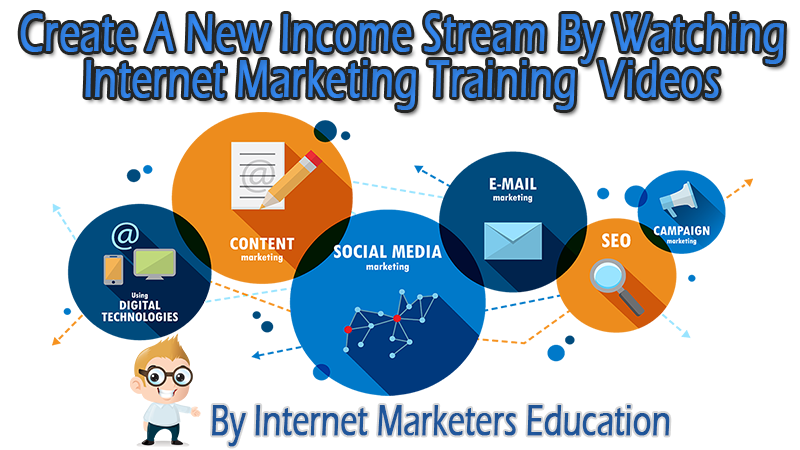 The ideal internet marketing video course can help you create additional streams of income; thousands have done just that. There are many moneymaking opportunities online, from selling PLR products to affiliate marketing, and it’s important to choose training courses that suit your needs and your goals. The pros at IME’s internet marketing training club can help you do just that. 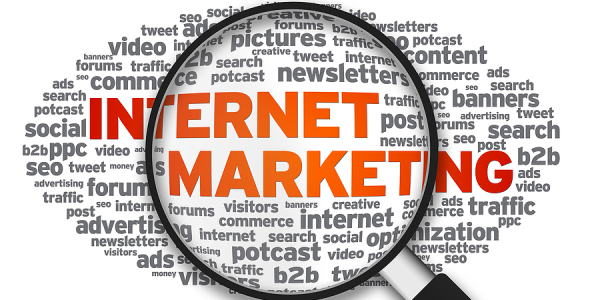 Internet marketing is here for good, and as technology continues to improve, the field will only keep growing. By investing in the right training courses today, you can build a brighter future. Whether you want to improve your marketing skills for business purposes, or you want to advance your career, you can benefit from signing up for a membership at IME. The site is full of training videos that can help you become a more successful marketer, and you can watch samples of the courses before making a purchase. The videos are instantly available within a membership area after you buy, and you can start watching courses on what you want to learn as many times as you want. Learning how to make money with internet marketing often requires an initial outlay of cash, but you should see the money spent on internet marketing video tutorials as an investment in your future. 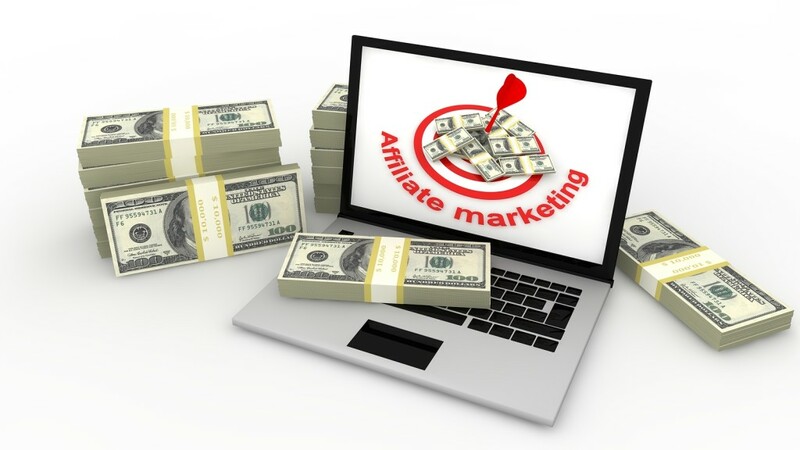 Can You Make a Legitimate Income Online as an Affiliate Marketer? There are many ways to monetize a blog, and affiliate marketing programs are especially popular. 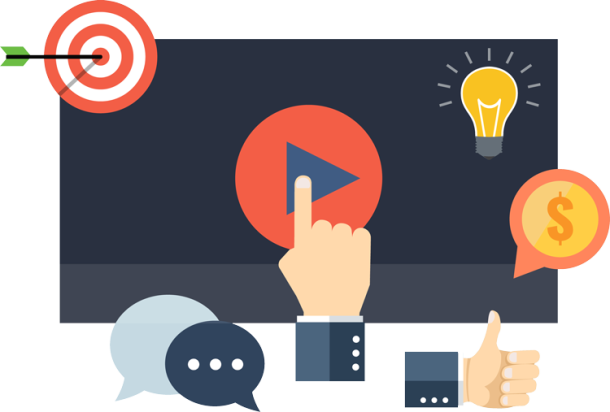 The experts at Internet Marketers Education have put together a collection of affiliate marketing video tutorials, and below we’ve listed some advantages of marketing products that others have created. If you want to make a nice side income with a blog, increasing your affiliate earnings is a great way to do it. You don’t need to create a product. Digital products are an excellent way to monetize blogs, but creating your own can be time-consuming. One of the greatest benefits of affiliate marketing is that you don’t have to spend time creating products; someone else has done it for you. As an affiliate, you can promote products right away, and you’ll earn for every referral sale. Most digital products come with substantial commissions; up to 50% in some cases. When you don’t have to take the time to make a product, you can spend more time promoting them and making sales. The training courses at IME can help you choose a high-performing affiliate program that’s a good fit for your site and your niche. You don’t have to serve customers directly. Not only will you save time on product creation, but as an affiliate marketer, you don’t have to spend time supporting customers. The time spent on customer service varies by product, but some sellers spend a substantial amount of money and time supporting their offerings. WordPress themes, software and plugins are especially popular, and while there’s a lot of income potential, there’s also a lengthy time commitment. Affiliates don’t have to provide support – all you have to do is make a referral, and once the sale is complete, customer service is the seller’s job. Income potential is high. 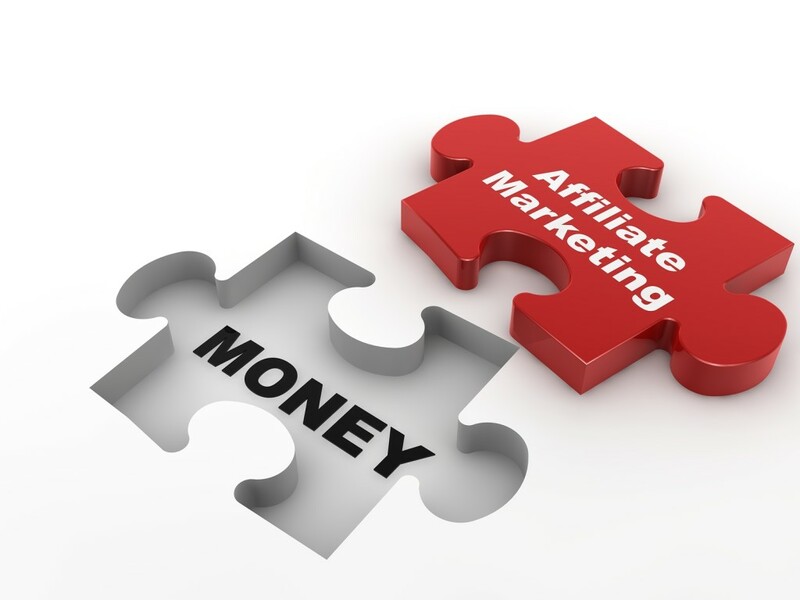 Although time requirements are low, there’s a lot of money to be made in affiliate marketing. If you have a large fan base or an established online brand, you can make a great income as an affiliate marketer; those with smaller audiences or newer blogs will make less, but income can grow as your subscriber base grows. There are many products to choose from. There’s an affiliate program in almost every niche, and regardless of what you blog about, there’s likely to be a promotable product that would fit your readership. The more people are interested in your niche, the greater your selection will be. Popular industries typically have great affiliate terms (high commissions) because there’s tremendous competition for affiliate marketers. To find products to promote, you can visit other blogs in your niche, or visit sites of products you use to see if there’s an affiliate program. If you’re completely new to affiliate marketing, IME’s membership site is packed with courses that can show you how to make money with affiliate marketing. Cash in on your reputation. As a blogger, you’re always trying to establish your brand and your reputation with your readers – and promoting affiliate products lets you make money based on the reputation you’ve built. If your readers trust you, they’re likely to follow your recommendations. However, you shouldn’t abuse that trust; by promoting quality products, you can grow your income and your readers will continue to look to you as an authority in your niche. The affiliate marketing training membership site at IME can help you learn how to build your brand and your reputation as an authoritative source. Collect readers’ email addresses. Email lists are a good way to make money as an affiliate. When someone subscribes, you can stay in touch and develop trust. Use an autoresponder sequence. If you’re using AWeber or GetResponse, you have access to an autoresponder. Here, you can set up emails to go out at predetermined intervals – it’s a great way to increase site traffic and boost your affiliate efforts. Don’t put too much faith in banner ads. This mistake is made by many bloggers, but banners aren’t as effective as other promotional tools. Including affiliate links in blog content can yield greater results. Ask for a raise. If you’re very successful in your affiliate program, consider asking the manager for a greater payout. It’s common practice for high-performing affiliates to be paid higher than the going rate, and managers often do this to reward and retain top performers. Affiliate marketing is an effective way to make money online, but there’s a certain amount of work involved. By following the affiliate marketing tips above, by purchasing an affiliate marketing training membership from IME, and by learning how to grow your customer base while earning their trust, you can become a successful marketer. In order to have a successful blog it is important that you choose a web hosting company that gives you all of the most important features and more! Besides the hosting company alone, the domain name that you choose also plays an important role in success for your webpage. While there are many people who take advantage of the option to use a free domain, free does not always mean better. The reason you should consider a paid domain versus one that is free is because your blog will be maintained better. It is important to choose a domain that relates to your business niche so that visitors will remember you, and people who are searching for the related topic will find you easily. If you are running a blog that is personal, then you can use your own name as your domain. By using your own personal name, it will increase your popularity. The domain name that you choose is quite important because it will also determine how easily people will be able to find you on the search engine. You want your name to be as high at the top of the search engine as possible, because you will be competing with other bloggers. The host company that you choose should be one that supports the script that you use on your blog. Choosing a host that does not support your script of choice will result in you spending more time working on technical difficulties on your page. So just make sure that you are squared away with a host that is compatible with the script. Choosing a host that has reliable customer support should be at the top of your list of what to look for when searching. You don’t want to spend the majority of your time fixing technical issues alone. You should have the help and support that you need. Following this advice above will help you to be successful in choosing the right host and the perfect domain name for your blog. To watch step by step video training on buying hosting, setting up WordPress, customizing your theme and over 2000 videos to help you learn to start your online business the right way, check out our membership at internet marketers education. In Making Money on Amazon Part 1, we went through the first five steps, and left off with finding a suitable web host. Now, we will look at the final five steps. Install blog software. Why should you do this? Answer: It will give you the structure needed to simplify the operation of your site, and it will make it easier to keep that site updated with fresh content. 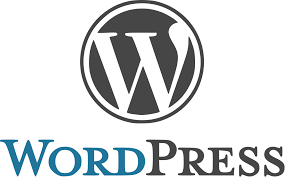 WordPress is the most popular CMS (content management system). It’s free (open source), it’s powerful, and it is very easy to install and use. Many web hosting companies make it easy to install WordPress; just download the software and follow the instructions. Make the site look good. One of the best things about WordPress is the wide variety of templates you can select. There are countless free themes, and there are hundreds of paid themes as well. Choose a theme that looks great, is relevant to your niche, and has the tools and layout you need. Create categories. Your WordPress software allows you to set up categories for your entries, which makes it easier for visitors to find information. For instance, your salsa dancing website could have categories on music, dance clothing, and classes. Become an affiliate. It’s free to sign up as an Amazon affiliate, but you’ll want to set up your site and add some content for Amazon to review. Create blog links. There are a few ways to do it; you can use the tools offered in WordPress, or you can use Amazon’s “Build a Link” tool. Log onto your affiliate page, and find a product to review before building a personalized link. You have many options to consider, but text links are highly effective. Blog away. Write a review and post it to your site, inserting the link code for the product you’re reviewing. Include multiple reviews for the best results. Promote your site. All of the steps listed above won’t get you anywhere if you don’t promote your site. There are many places to do this, such as online forums, directories and social media sites. The more you expose your site to the world, the more successful you’ll be. That’s all there is to it. In Part 2, we’ve gotten you ready to make money as an Amazon affiliate. What do you have to lose – follow the steps in Part 1 and Part 2 to make money today! Because you’re reading this article, you probably already know how to make money with Amazon’s affiliate program. Maybe you’ve already built and hosted a website in hopes of making some money with the program, but if you’re not sure how to go about it, you’re not alone. Here, I’ll list some easy steps to help you get started with Making Money on Amazon. Learn the basics of HTML. If you don’t know it already, this is the perfect time to pick it up. HTML knowledge will help you cut costs, and it will give you more flexibility. Most sites have WYSIWYG editors (what you see is what you get), but you don’t have much flexibility in text formatting, hyperlink creation and other money-making tasks. There’s a wealth of information online, and you’ll learn the basics in no time. Decide what niche you’ll fill. If you’re going to do reviews or make recommendations, or promote a certain product, ensure that your niche is narrow enough that it will be easy to fill. For instance, you could do a site on scrapbooking, classic car repair or salsa dancing. Choose a good domain name. This is perhaps the most important step. Choose a domain name that’s rich in keywords, to help with search engine optimization. The name should be relevant to your chosen niche. Put together a short list of options, in case your first choice isn’t available, or be willing to choose another domain extension such as .net or .info. Register your chosen domain name. Many web hosts are set up to allow for quick domain registration, but if you don’t go that route, you can register it on your own through another site. Once your domain name is registered, it’s yours to use; registration costs range from $10-$20 per year. Set up hosting. This step is where you need to exercise caution – there are wide variations in price, but not in quality. Even if a particular web host offers a huge set of tools, the average user doesn’t use most of them. Don’t pay for what you won’t use! It’s easy to find hosting for as little as five dollars per month, and for unlimited sites, you can find hosting packages for a monthly cost of as little as $10. The five tips I’ve given here should give you a good start on building a money-making affiliate site. In Making Money on Amazon Part 2, you will learn the final steps in making great money on Amazon.